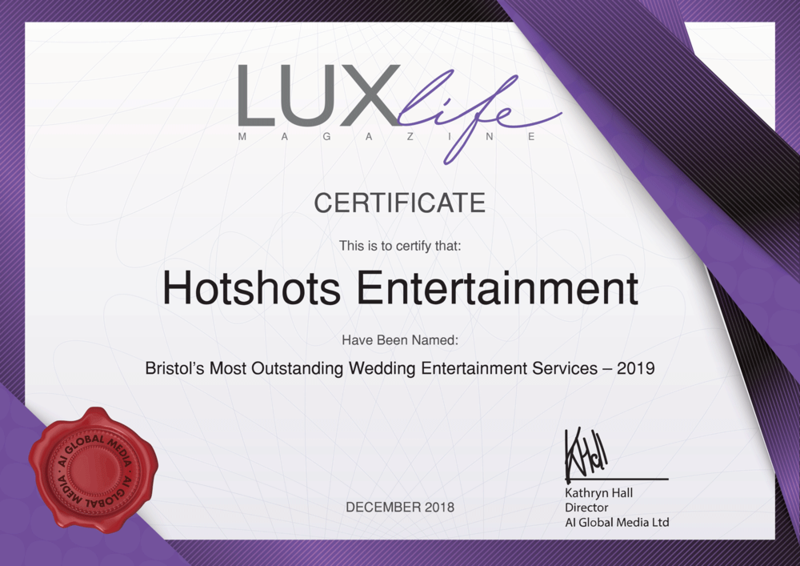 Hotshots Entertainment is one of Bristol’s foremost wedding DJ and wedding entertainment providers. Your wedding will probably be one of the most special days of your life and you want it to be perfect. With my extensive experience, helping you make decisions about key aspects of your event and assist with planning to make sure that your guests have a great time. Feel free to read through my feedback. If you’re happy and would like to book straight away, please click HERE to see if your date is available. We will offer a final client meeting, normally arranged 4-6 weeks prior to the event. Discussing your wedding plans and finding out how your night will run. A few things to consider – your first dance song, evening speeches, plus any other requirements. Morf Bray offers a personal service tailored to your special day. With certain details which will be required to make your dream wedding a reality. For example traditional ceremonies, the Cake Cutting and father-daughter dance. We offer client meetings in our offices located in Brislington Bristol before you decided to book with us. Alongside our Bristol Wedding DJ services, we can also provide a photo booth hire which is great entertainment for your guests. Having fun before hitting the dance floor. Book multiple services to receive 7.5% discount off your package. 5-hour show that ends by midnight. 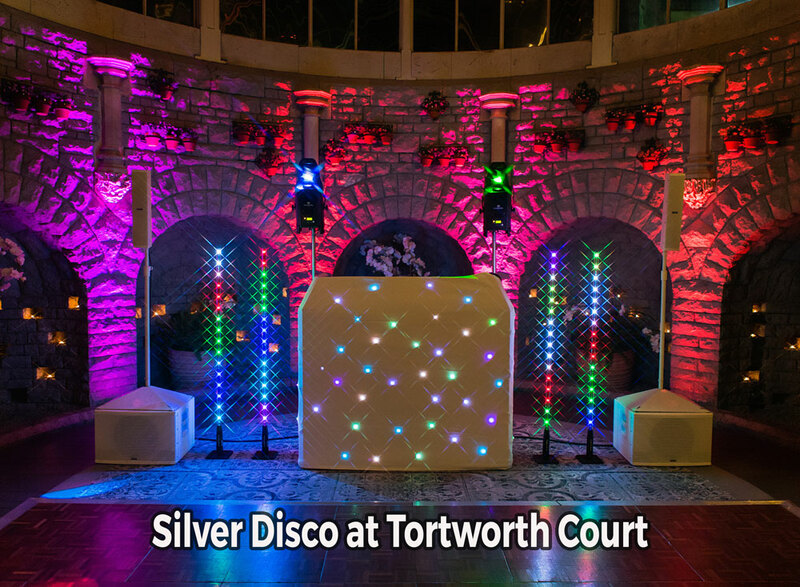 Suited for smaller venues and includes a stylish DJ booth with disco lights and 4 uplights around the room to match your chosen colour scheme. 5-hour show that ends by midnight. 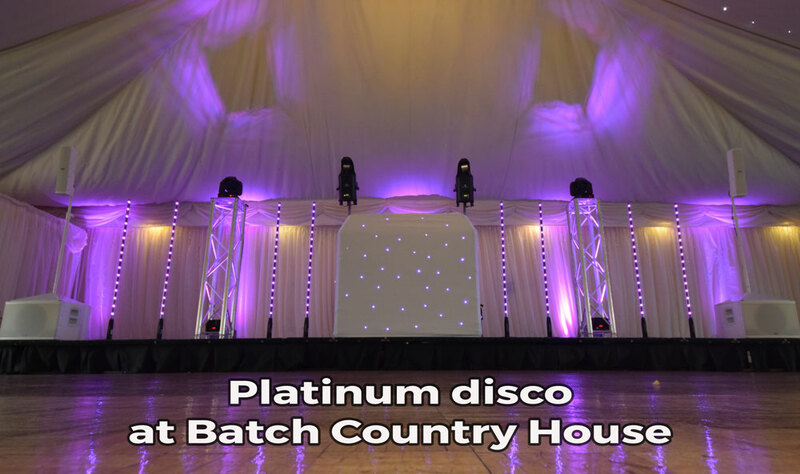 Suited for larger venues and includes a stylish DJ booth with disco lights, moving heads and 8 uplights around the room to match your chosen colour scheme. For events over 200 guests please contact us. Events past midnight are charged at £50 per 30 minutes or £75 per hour. 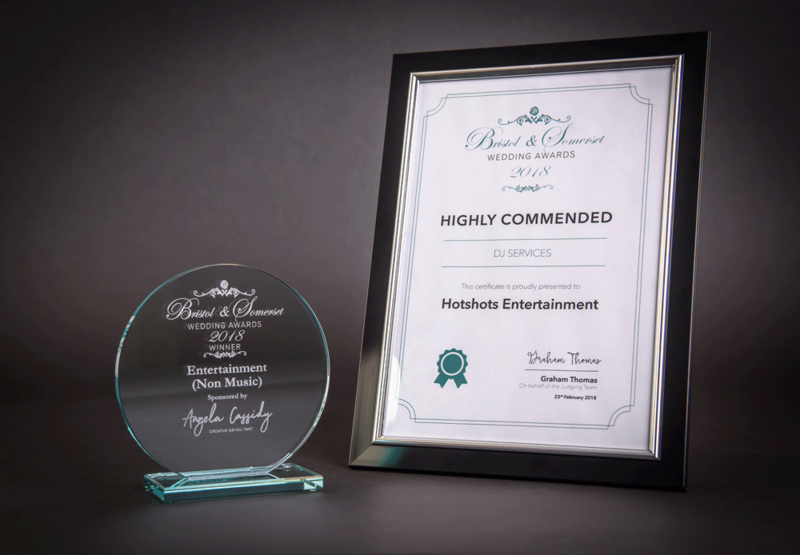 Hotshots Entertainment have been luckily enough to have won many awards over the years. Special thanks to our previous Brides and Grooms that have booked with us. In 2018 we won best photo booth company and highly commended for the DJ services at the Bristol and Somerset Wedding Awards proudly supporting The Wedding Wishing Well Foundation. *all prices shown – ‘starting from’ and dependent on location, however, no extra charge if within 20-mile radius of BS4. *client meeting availably throughout the weekday times and Tuesday or Thursday evenings from 5.00pm. We can also come to you or arrange a phone call/video chat. *please note a £100 booking fee (non-refundable) is required to secure your booking date.